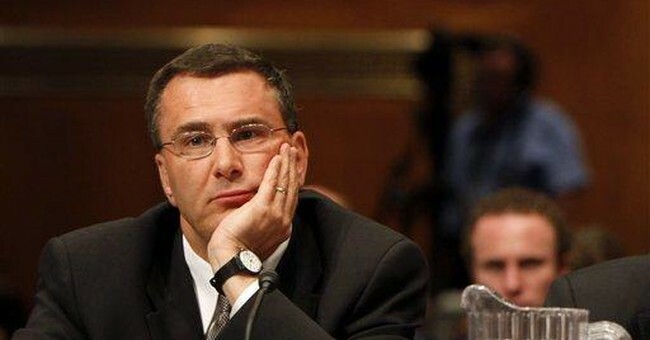 Obamacare Architect Jonathan Gruber to Testify on Capitol Hill This Week About "Stupidity of American Voters"
MIT professor and Obamacare architect Jonathan Gruber will testify on Capitol Hill Tuesday about his role in selling the 2010 healthcare law to "stupid American voters" through deception and non-transparency. The hearing will be held by the House Oversight Committee and Gruber will have to field questions from Chairman Darrell Issa and angry lawmakers about the legislation. "The request is currently before Chairman Issa but at past hearings, government officials have testified alongside other non-administration witnesses," said Becca Watkins, a spokeswoman for the committee. The hearing starts tomorrow at 9:30 am et.